. . . when we listen to anyone else talking, however eloquent he is, we don’t really care a damn what he says. But when we listen to you, or to someone else repeating what you’ve said, even if he puts it ever so badly, and never mind whether the person who’s listening is man, woman, or child, we’re absolutely staggered and bewitched. And speaking for myself, gentlemen, if I wasn’t afraid you’d tell me I was completely bottled, I’d swear on oath what an extraordinary effect his words have had on me. . .
. . . Among other things they sent an elderly man, Socrates, a friend of mine, who I should hardly be ashamed to say was the justest man of his time, in the company with others, against one of the citizens to fetch him forcibly to be executed. Their purpose was to connect Socrates with their govern­ment, whether he wished or not. He refused and risked any consequences rather than become their partner in wicked deeds. . . . 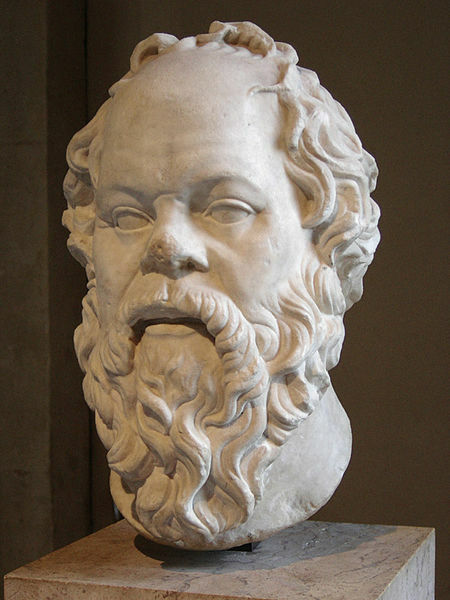 It seems to me that Plato was still thinking about Socrates. What is touching, though, is Plato’s intimation that after nearly a half century — after all those dialogs — he still had not managed to say what he most wanted to say about Socrates.